For decades the Austrian company ADA as a brand has stood for the highest standards of living. Starting at the company’s own sawmill, through to production, packaging and delivery - almost all processes are carried out in-house. Design and craftsmanship encounter computer-controlled production technology, while precision and care play an equally important role as customer-oriented production times. But the biggest advantage of ADA is the commitment of its employees: From apprentices to managers, sales personnel to graphic designers, from joiners to seamstresses: everybody pulls together here. Flexibility, reliability, short delivery times and absolute adherence to delivery dates are some of ADA’s strengths and these are ensured through the high level of independence of sub-contractors. 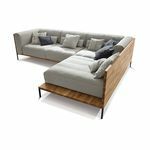 ADA furniture is manufactured at six production sites in Austria, Hungary and Romania. All models of the brand “ADA AUSTRIA premium” are produced at the company’s headquarters in Styria. 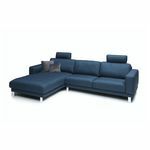 High-quality upholstered furniture under the brand “ADA trendline” comes from the production site in Körmend, Hungary. 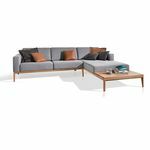 In the conventional as well as in the modern assortment, trendy seating areas and reclining armchairs are designed – with functions and a broad range of types. In the Hungarian plant in Nova, reasonably priced beds, mattresses and slatted frames under the brand “Alina sleeping” are produced. The sister company in Salonta, Romania, manufactures low-priced seating furniture under the brand name “Alina living”.